Q: Why hire a college admissions expert? A: The cost of college has increased 110% since 1979 (!!!) and the sheer number of competitive students using the internet to apply for colleges has increased. More students are applying to more colleges and seeking a great fit that meets the family budget. Our expert guidance makes an enormous different for families navigating this process. Q: Can you guarantee that my student will get into college? A: While TCE has had great success getting students into colleges and universities, we do not guarantee admissions to any particular college. It is ethically wrong to guarantee college acceptances; instead, we pride ourselves with helping students with the selection of colleges, applications, scholarships, financial aid, portfolios, course selection, resumes and internships, all of which enhance our student’s ability to earn scholarships. Our students get into and succeed at the right college through their own merits. 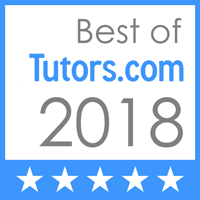 We help guide students using the American Association of School Counseling suggested methods, Oxford writing method, verified online tools and most importantly, we include their families. A: We offer student packages specific to each student’s age and grade. We meet monthly with students throughout the school year in our office or online. We provide several tools that assist the student and family between meetings. Our hours are arranged to meet the needs of students. A: We individualize our program on the basis of your specific goals and needs. We work with you one-on-one to help you avoid common pitfalls, overcome obstacles, and successfully navigate the confusing college process. A: We have a booking site that allows you to check your schedule against ours and make the appointment that fits into your schedule. All staff are trained and we all are available on the schedule. There is no guessing. Q: Do I have to travel to you or do you work online? A: It’s up to you! Many choose to meet in person at our office, but many choose the convenience of a video meeting from their home computer. All students are required to make at least one online appointment because we want to make it as convenient as possible for the parents. Q: How involved am I supposed to be as a parent? A: We love parent involvement but we do not require it throughout the whole process. There is no such thing as a “helicopter parent” with us because we value our parents’ input. We invite parents to every meeting. We do have a specific parent meeting at the beginning of each school year to outline timelines and goals. Parents are encouraged to check in monthly with any questions. We understand that you have busy schedules! A: We encourage you to make your first appointment when your child is exiting 8th grade to get a free consultation on your future high school classes. However, we take students throughout all grade levels. Q: Do you help college students? A: Yes. Half our clientele are in college. We work on 4-year planning and networking, plus internship and job placement. We also help solve issues that arise, whether personal or academic. Q: Will I work with the same advisor? A: TCE has three highly trained staff members and we each have our strengths. All initial consults and plans are set with Rebecca, who is a school counselor. Leigh works for many appointments with students who are focused on acting, music, and talent websites. Paul has taught high school and college students for years and he brings a great knowledge to the writing process. We are flexible but sometimes we do ask you to make an appointment with a specific person for your benefit and identified goals. Our goal is to be available and for everyone to know all the students. This is very important to our company. Q: Do you help students pursuing graduate degrees? A: Yes. We help identify the best programs, research, and funding available. We also help them with their personal statement essay and resume, and help prepare them for interviews. A: Yes: all student packages include help creating a professional resume. Q: My child doesn’t have the best grades. Will you still work with them? A: Absolutely! We believe that every student has strengths and gifts that can be utilized in their future endeavors. Colleges and scholarships exist for all students; we know where to look. Q: Do you have experience working with divorced couples? A: Yes, we work very well with divorced couples. We have staff that is certified in mediation. We also have a school counselor on staff. Q: Do you help pick high school classes? A: Yes. It is very important to understand the classes needed to pursue your future goals. A: You can pay online or by check. You can choose to pay in installments or to make a single payment and receive a discount. Q: I have several kids! Do you offer discounts? A: Yes we do! We offer discounts for each sibling enrolled after the first child works with us. Q: Our student doesn’t drive yet – do I have to drive them to you a lot? A: No problem, we work online with a program that lets us see each other, share screens, and meet with the student. We work with students from all over the United States as well as internationally. There is no difference in the quality of our services in person or online. A: We do require at least 12 meetings to fully provide our services. However, most students average 12 – 16 appointments. We do not charge extra for more meetings. Sometimes your student will just meet monthly, sometimes more frequently. We meet the needs of each student and family. Q: I am really bad at technology, will you help? A: We walk students and parents through any tech issues or requirements. We spend a lot of time helping families feel confident because colleges require tech skills and your student will feel very comfortable by the time they get to college. Q: Do you give military discounts? A: We are proud of our history of helping military families plan their students’ paths. No matter when you served, you get 10% off. Q: Which school do you work with? A: We are an independent program, but because of our experiences working within public and private schools, we have an excellent understanding of how to supplement what your school is doing. Q: What differentiates you from other college planners? A: TCE has an accredited school counselor, national merit scholar, editor, and highly educated staff members. We work our plans to meet the goals and needs of the student. All tools are available to every client. We are experienced in working with students from all types of school systems. Q: I’m not sure what I want to study in college. Can you help me with that? A: Yes: we have many assessments available and understand that not everyone knows exactly what they want to do. We have a great record helping our students figure out their path and choose the best school and program for them. Q: My English is not good, do you help international students? A: Yes! We have a strong record in helping international students improve their TOEFL scores and we have an independently developed program that assists students in understanding the cultural norms in America. We provide a reading program and one-on-one tutoring. Q: What’s your experience working with homeschoolers? A: We support homeschoolers! Several of our team members have been homeschooled themselves and/or have homeschooled their children. We strongly support parents working to get the best education for their children. Q: Do you work with schools? A: We love schools and know what they are up against with their numbers. We supplement their programs and communicate with them when necessary. Schools love our students because they show up prepared for their meetings and with more knowledge about the college process. Q: Do you work with students on an IEP? A: Yes, we work with IEP students. School Counselors are an important part of an IEP meeting and we have specialized training to help advocate for the student and parents. We work with students on IEP’s and 504’s and help them transition to college. Q: Do you help with ACT and SAT prep? A: Yes, we offer an ACT and SAT online prep program. We do not do one on one tutoring though. We have self-guided courses in ACT/SAT/AP/SAT ll and Accuplacer. Q: How connected are you to the music/acting world? A: Our team member Leigh Delano is a music director for Washington D.C. theater productions, a concert pianist and accompanist (you can find her on Youtube under Leigh Gaines), and has even recorded a soundtrack for a movie. She is also married to Wyn Delano, a professional theater actor/singer, radio broadcaster, and voice-over artist. Q: What exactly are college scholarships? A: Scholarships are free and usually earned through grades, test scores, talent, leadership, athletics, and contests. Grants are awarded as well from many institutions and are also free. They are part of a financial aid package from the school or can be from an outside agency like the AXA Achievement Scholarship or Boy Scouts of America Scholarship. These are outside scholarships that are sent directly to the post-secondary program. Q: How can I get scholarships? A: Scholarships are similar to a job application. They have a form that needs to be filled out. You find scholarships that match your financial situation, talents, demographics, age, gender, major, school, military interests, and talents. You send them in and wait. Scholarships usually are sent to the school that you are attending in the Fall. You will be notified by the scholarship program and the school when the money arrives. Q: How do college loans work? A: Loans are offered by the Federal Government both subsidized and unsubsidized. They have a very low-interest rate and they have to be paid back. Most student loans start requiring payments 6 – 9 months after you leave school for any reason. Parent plus loans are offered to your parents and part of a financial aid package. The interest rates are slightly higher and the re-payment schedules vary from school to school. Some require monthly payments immediately. Private loans can be taken out through your community banks. A: We like to run our students through an assessment of each test and we can identify the best test for the student to take. We then focus on that test and preparing them strategically. We use our self-guided courses but we help lay out the process based on the students time and goals. Every college accepts both so you do not have to worry. Q: What are some of the most common mistakes that students applying to college make? A: The most common mistakes that students make are not planning ahead and missing deadlines. The application must be completed and reviewed. The essay is very important and must be interesting and about themselves. This is challenging to do and must be worked on with many rewrites. Accurate information, references that are appropriate, and schools that are a good match are also hard to manage with busy schedules! Q: What is the Coalition? A: The Coalition is another application that is used by several colleges. It was invented to offer easy access to schools especially for students who qualify as financially needy. It works similarly to the Common Application. You can start your Coalition earlier though and start putting in documents to the locker. Q: I want to apply to the Military Academies, have you helped someone gain admission before? A: Yes. TCE has helped students apply for both nominations and the Academies. We have been very successful helping qualified students gain admissions. Q: Can my student get athletic scholarships even if he/she isn’t majoring in the sport? A: We have a whole program dedicated to the recruitment process. We help students with scholarships both merit and athletic based on the school and the funds. We provide websites that are affordable and walk you through the process of promoting yourself, timelines for communication, and selecting schools that are a good fit for your sport. Q: I don’t have to worry about my athletic student’s recruitment until 12th grade, right? A: Though we have successfully recruited Seniors, we encourage all our athletes to promote themselves much sooner. Senior year for some sports is challenging because coaches have already selected their teams. Never say never though! We have successfully helped students in the 11th hour get recruited. Take the guesswork out of the college process. Start now and transform your experience. Solidify your college strategy & get guidance from the experts!